This blog post was written as a part of my collaboration with eBay. We’re not quite to Easter yet but Mother’s Day is fast approaching. It always stresses me out a little. It’s two-fold- a special day for me as a mother and what in the world do I get my own Mom and Mother-in-law to make them feel extra special?! Listen carefully to your Mom for gifts that she wouldn’t buy for herself but would be excited to receive. This is the key for any good gift giver. Really paying attention during conversations to what someone loves makes for the absolute best gifts. I created a couple of eBay collections with things I found for my Mom. One focuses on her dream kitchen. (hello I want her kitchen someday!) The other has ideas for her style. In addition to finding just the right thing, DOING something for your Mom will show how much she means to you. This will change for every person because every Mom could use a little extra support in different ways. What would mean the world to one Mom would go right over another Mom’s head. For me, I’d LOVE help doing the dishes or picking up my house. For my Mom, since we are all grown up and live out of her home, she would love help showing her some things with technology or fixing an email issue. You saw this one coming from a mile away, right? 30days is about creating things after all. Some of the things I treasure most are the 4 yr old printing on a Mother’s Day card, the pictures my kids have drawn and the popsicle stick frames they’ve created. When I was a new mom, Josh made a certificate from our oldest for being the World’s Best Mom- you better believe that I love that more than any other store bought gift and still smile thinking about it fourteen years later. Oh and making breakfast in bed for Mom definitely counts as creating something! Even if writing isn’t your thing, a heartfelt letter would mean everything to any mom. Take some time to think about the things that you love, appreciate and respect about your mom. What are your favorite memories? What do you hope to pass on to your kids thanks to your mom? Nothing means more to a Mom then when her kids are well behaved, kind, wonderful people. For me it means the world to hear from my kids teachers how well they are doing, from a friend that they have good manners or learn of something nice they did just because. Sure, most Moms would love a gift on Mother’s Day but having successful, good children means more than any present ever could. What have you done to make your Mom feel special? If you’re a mom, what would make you feel special? Make sure to follow me on eBay to check out some of my other favorite items. And you can create your own #eBayMom collection and enter for a chance to win $500 to shop on eBay! Ends May 11, 2014. Thanks so much for linking up on the Cook it! Craft it! Share it! link party last week! Hope to see you again this week! So sweet! 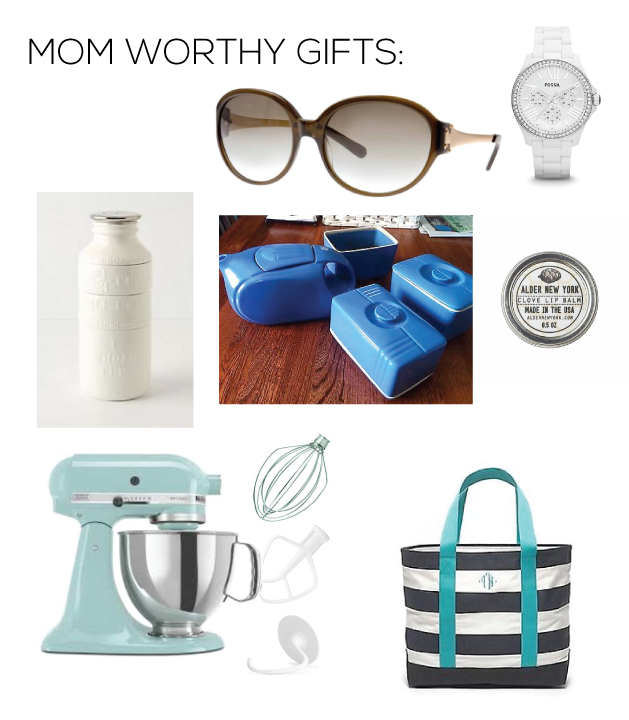 Totally mom worthy gifts! One of my favorite things my kids do is help their Dad make breakfast for me in bed. :D Thanks for sharing! SO sweet… I love the picture of the two of you together. Thank you for sharing!